The drive toward an OLED TV future is gathering pace with Toshiba trumping Sony's OLED announcement on Monday. 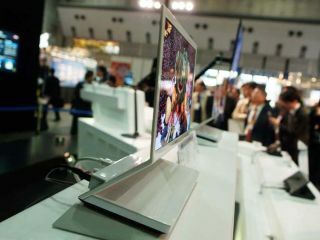 Toshiba says it plans to sell a 30-inch OLED TV by 2009, slashing the expected on sale date by five to six years. Toshiba is obviously hoping to have been able to address many of the shortcomings of organic electroluminescence technology by then. OLED TV panels are said to be difficult to make in large sizes, and currently have a shorter lifespan than LCD - that's 30,000 hours for OLED, compared to 50,000 hours with LCD. "We don't expect that the organic EL can compete from the beginning on the equal footing with the LCD TV, which is released from many manufacturers across the world, but we believe its superiority will be recognised as production volume rises." Toshiba had been expected to launch SED televisions this year as part of a joint-collaboration with Canon. SED TVs were said to combine all the picture quality benefit of CRT technology, but use them in a form closed to the flat panel TVs we have today. The SED or Surface-conduction Electron-emitter Display was seen by some as TV's Holy Grail. Unfortunately the Grail was temporarily lost when one of the patent holders - Nano-Proprietary - sued Canon over Toshiba's involvement.